Did George Washington really stand up in his rowboat when he took his men across the Delaware to surprise the redcoats and whip them at Trenton? Did Honest Abe walk umpteen miles to repay a 1 penny debt? Did Babe Ruth point to the centerfield bleachers in the 1932 World Series before depositing a home run ball out there? Did Johnny Appleseed really plant all those trees? I can’t say yes or no to Washington or Lincoln or the Babe, but I can say unequivocally yes, to Johnny. He did it, alright, just not in the manner I’d like to believe he did. I knew all about Johnny, growing up in the 50s. We all knew him, all had the children’s Golden Classic picture book and the Gene Autry album, the album-cover Johnny looking more like a kid than a man and with a log cabin and an apple tree in full bloom behind him. Johnny had the life all us kids (the boys, anyway,) wanted - sleeping under the stars, washing in a brook, or not washing at all, friends with the Indians and the animals. Johnny didn’t even have to plant all those trees. That would have been hard work and would have taken the fun out of it. No. Johnny had a sackful of seeds that he carried over his shoulder and he just walked through the woods, singing and petting the mountain lions and tossing the seeds. 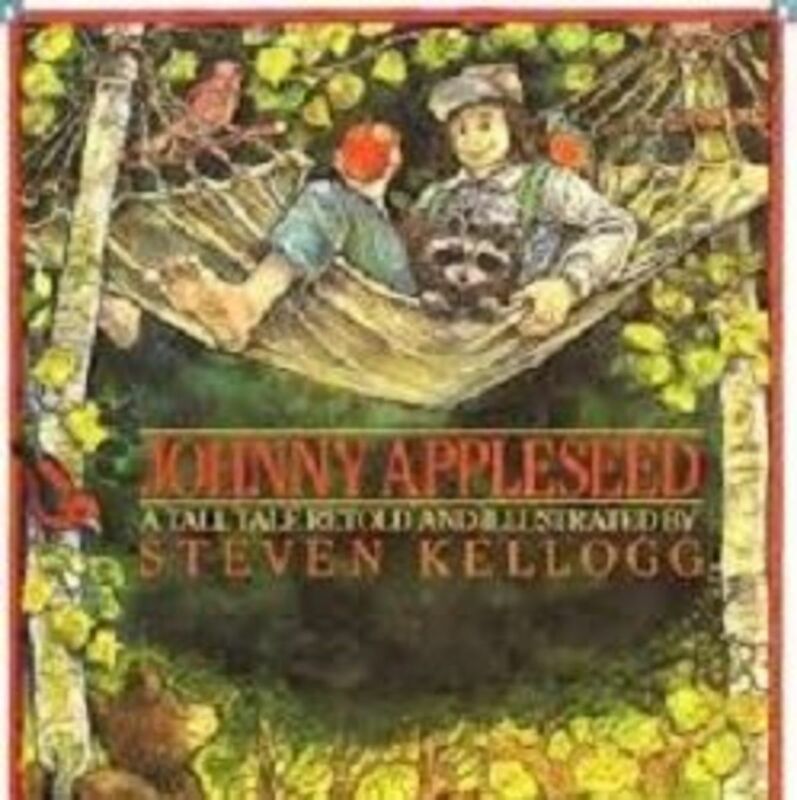 Tossed seeds don’t usually turn into trees, but all of Johnny’s seeds sprouted and so fast they were full blown, apple-laden trees before Johnny had disappeared over the next hill. That’s the magical-loveable Johnny we knew, a cool dude with a cool lifestyle. He didn’t care about money or fame or worldy possessions. He was a free spirit, right? Well, not quite. Little Johnny spent summers on his uncle, Thomas Mann’s farm. Mann’s daughter, Johnny’s cousin, Betsy, married a local man, Sam Wilson, who went on to have a very successful career as a businessman. War came and Sam secured government contracts, to supply meat to the army. 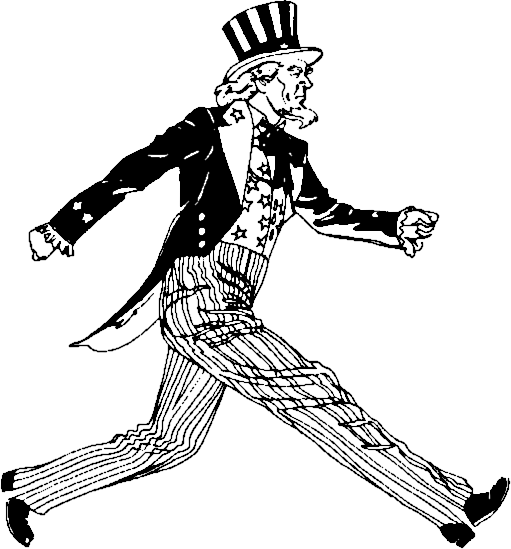 Sam made some money and what else he made was a name for himself - Uncle Sam. Johnny's dad was a Minuteman who fought at Bunker Hill and like so many eastern folks in those days, Johnny was drawn to the west, where his own name, and reputation, were made. Johnny, it turns out, wasn't quite the eccentric vagabond we knew as kids. He was a hardworking fellow, a 1-man corporation, and shrewd. What he did, he got out just ahead of the westward migration and alone in the wilderness, planted apple orchards. And it was more than just tossing seeds over his shoulder and continuing along and leaving his trees for the folks coming along behind him to enjoy, gratis. The real Johnny staked out territory and he planted and grafted his trees and watered them and built fences to protect them and he had to keep circling back to maintain his orchards; yes, it was hard work and the payoff came when the settlers arrived. They were happy and grateful to purchase Johnny’s 2 and 3 year old apple trees. A fellow might buy just 1 tree, or a few, or an entire orchard. 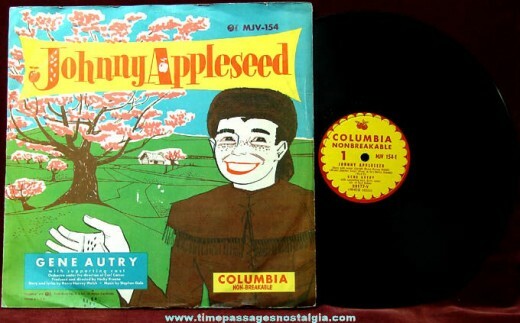 Folks loved apples in Johnny’s day, same as they do today. Well, not quite like they do today. Today folks love apples for pie and cobbler. Back in Johnny’s day, it was more about hard cider and applejack. It was hard work, taming the wilderness and when the time came for a man to slake his thirst, he wanted something with a kick, something fermented. 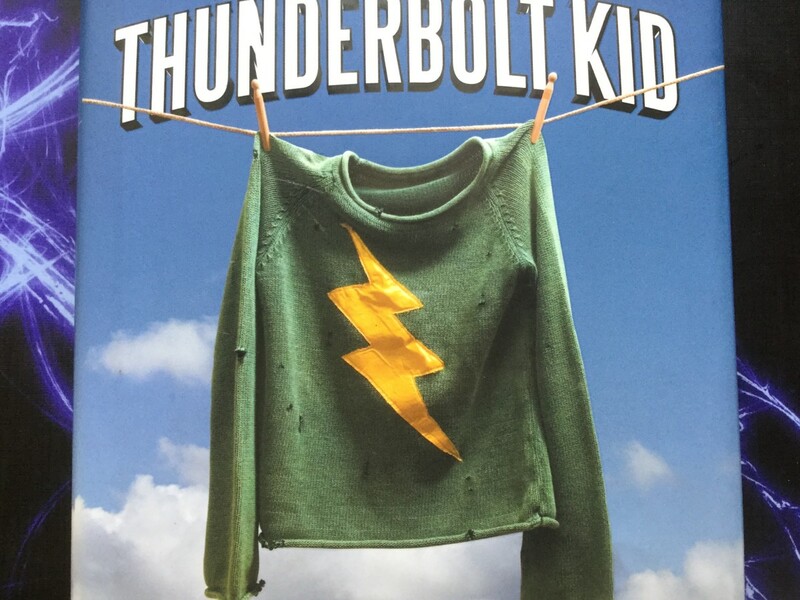 What does it mean for our childhood version of Johnny, all the hard work he put into it? Was he something other than how we knew him? Was he less of an adventurer and more of a...shudder...businesman? Would a businessman have taken the time to release a wolf from a trap and befriend him? Well, a man alone in the wilderness would appreciate a companion, especially a companion who’d growl in the middle of the night to let Johnny know if there was something lurking outside the firelight. Of course, if the Indians loved him, and the animals, too, what could be out there to threaten Johnny? Apple-poachers, maybe, going to steal Johnny’s seeds. 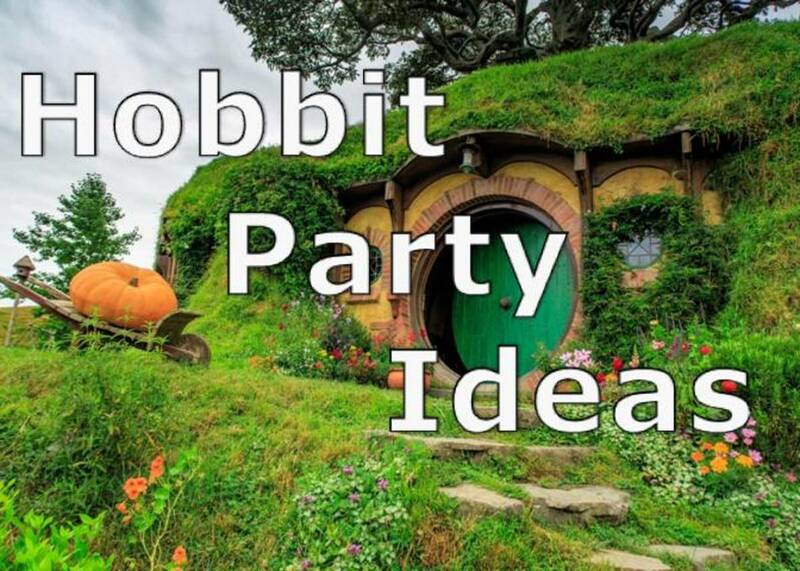 Would a businessman waste his time lifting red-hot coals between his toes to amuse the folks? Could be. A man who went 40 plus years barefoot through the woods would’ve had feet like leather and any good businessman knows you have to get the folks' attention before you can sell them something. Did he nurse a wounded rattlesnake back to good health? Uh, gingerly, if he did. And don’t even ask did he really plant all those trees. Of course he did, and maybe it was more digging holes and grafting than tossing seeds and maybe he did make money out of it but hey, this is America and Johnny wasn't stingy with his money. He'd bail out a fellow when he could. There is an extant eyewitness description of Johnny - medium height and with hair and beard down to his waist, that's a loveable-vagabond, and what about Johnny's famous hat? Was there any mention of it? Yes, and I'm happy to tell you it was a cooking pot, battered and bent and doing proud double duty up there on Johnny’s noggin. A cooking pot on his head? Had to be a ninny, a man who could be swindled, but I'm betting all those who tried, failed. When my Boston bred mom learned I had no idea who Johnny Appleseed was she nearly croaked.